When you have dingy carpets, you want them to look and smell clean again. You could spend hours scrubbing them yourself, but you don’t have the time or energy for the chore. 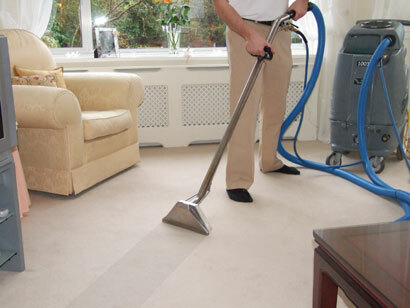 A better option is to turn the task over to an experienced carpet cleaning company. They can clean the carpets, remove stains and prolong the life of the textiles. Here are a few qualifications you should look for to choose the best carpet cleaning company in New Jersey. A great carpet cleaning company does more than just carpets. They clean your oriental rugs, scrub upholstered furniture, and offer commercial as well as residential services. At High Quality Carpet, we will keep all of your fine carpets, upholstery, and area rugs attractive, clean, and fresh. There’s no reason to hire three different companies when our team can handle all of these services for you. The best carpet cleaning companies have the experience necessary to deal with difficult stains and leave your carpet truly clean. High Quality Carpet has high-profile customers like Wegmans Food Market, the Home Depot, and Warrant Township Public Works. These businesses have trusted us to remove food stains, grease, heavy traffic marks and even tar and ground-in dirt from their carpets. We have the skills necessary to handle these tough jobs, so you can count on us to get you carpets truly clean and ensure that they smell fantastic. Other companies ask you to move the furniture out of rooms to be cleaned, and they will need you to show them where stains are. We believe in providing a full range of services to satisfy your cleaning needs. We will move the furniture out of the space and look for the stains ourselves. While we appreciate you pointing out areas that need special attention, you can also trust us to find stains and treat them with powerful stain lifters. When the service is done, we’ll even put your furniture back into position. When a disaster strikes and your home is flooded, you need fast service. We offer 24-hour emergency service with no gimmicks. If a water line breaks or something else happens and you find that your carpets are soaked, you can call us to help. We will bring in powerful extractors to pull the water out of the carpeting, and we’ll allow fans and dehumidifiers to remove the remaining moisture and humidity. When hiring a carpet cleaning company, insist on an agency that is fully insured. We are owner operated, fully licensed, and insured for your protection. You can count on us to protect our employees, and your property will also be covered against accidents or damage. When you realize that your carpets are in need of some attention, turn to the team with the best experience and skills. High Quality Carpet is a versatile, full-service cleaning company. We can clean carpets, rugs, and upholstery and both residential and commercial customers. Call us today to make an appointment and start enjoying fresh, clean rugs.